Are the kids begging for nuggets but you aren’t fond of the ingredient list? 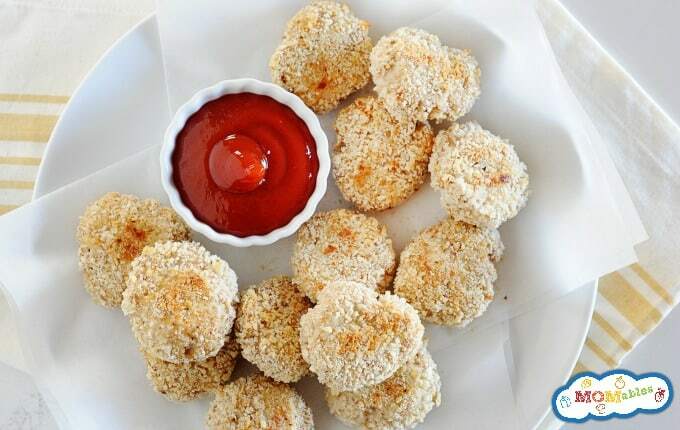 Look no further than this healthy homemade chicken nugget recipe! If there is one food that almost kids beg their parents for in North America, it would be the chicken nugget. I mean, they are on nearly every restaurant menu, served in school cafeterias, in the freezer section of every grocery store, and even in pre-packaged lunches. Many of the parents in our community love having them on hand and asked for a recipe with better ingredients. This recipe was originally posted on our site years ago, but like all things, we wanted to update the photos. Just like our family-friendly MOMables Meal Plans, the recipes on this blog focus on helping parents feed their families more fresh ingredients, even in the form of chicken nuggets. What’s great about this recipe is that it yields a large amount and they can easily be made ahead of time and frozen. Making them is super easy, just watch this video below to see how they are made. 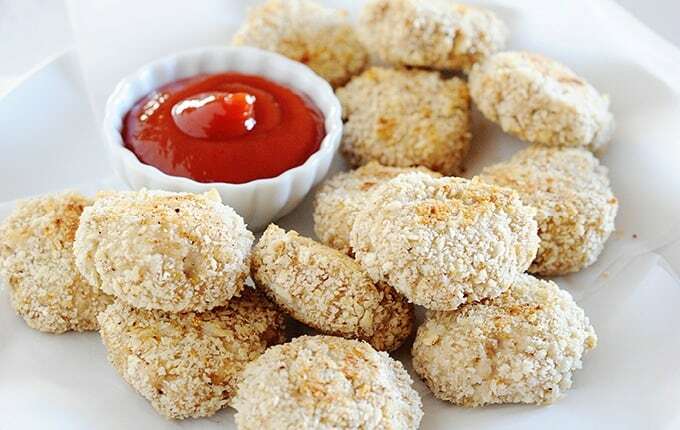 This version of homemade chicken nuggets yields perfectly fresh and tasty chicken nuggets with the texture kids love from the golden arches and the freezer aisle. And, with over a million views, you’ve got to check this recipe out! There’s no denying that my kids get excited to see these chicken nuggets on the menu from time to time. It can be hard to feed our kids when you have picky eaters, but hopefully pulling these out of the freezer isn’t the norm. Of course, if you need a little help with your picky eater, check out our picky-eater help page. I’d love to help you add more variety to your child’s meals. What are some kid-favorite foods that you would love to see recreated into a healthier and tastier option? In a small bowl, combine breadcrumbs with half the Creole seasoning and grated parmesan. In a separate large bowl, combine chicken, oatmeal, remaining grated parmesan, remaining Creole seasoning (or paprika), garlic powder and pepper. Knead dry ingredients into the ground chicken. Moisten hands to prevent sticking and form 1 tablespoon of chicken mixture into a ball. Press into a cookie cutter for shaped nuggets or flatten with fingers for a basic nugget shape. Press nuggets into bread crumb mixture and turn over, patting crumbs into the surface to coat evenly, place on to the cookie sheet. Place nuggets onto the cookie sheet and spray them with cooking oil spray for a crispy coating (optional). Bake in the preheated oven for 18 to 20 minutes, flipping them over halfway through. Remove from oven and serve. These baked nuggets don’t brown but will dry out if you cook them too long. Check for doneness around minute 18. To Freeze: freeze the breaded nuggets on a cookie sheet, then transfer them to an airtight bag or container and store them in the freezer until you’re ready to bake as few or as many as you like for up to 3 months. Add about 3-5 minutes to your usual cooking time if baking from frozen. 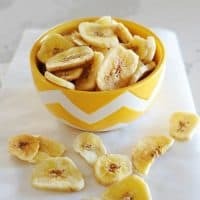 Have you ever made these dairy free or would you just use a Parmesan that’s non-dairy? Thanks! The parmesan helps bind the chicken nuggets (in the mixture) and since ground chicken is a bit dry also a bit of moisture after cooking. To the crust, it provides a great crunch. If you have a dairy free alternative, I’d substitute it. Omitting might lead to dryer nuggets, in which case, keep an eye out so they are not overcooked.